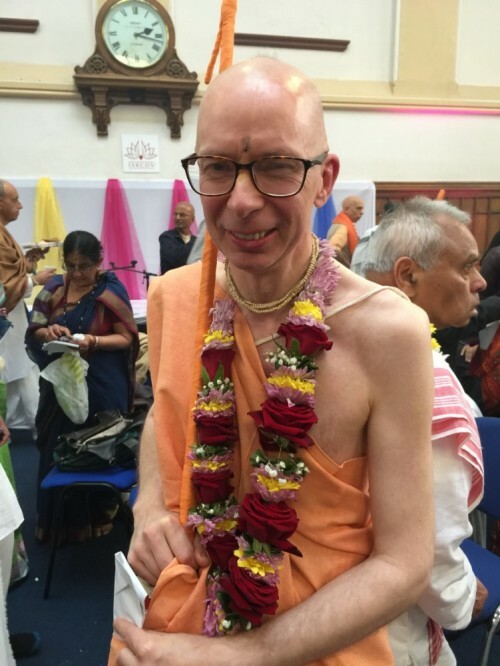 His Grace Lilasukha Dasa received sannyasa initiation this morning (31st May 2015) from his own spiritual master His Holiness Bhakti Caru Swami Maharaja. His sannyasa name is His Holiness Bhakti Prabhava Swami. 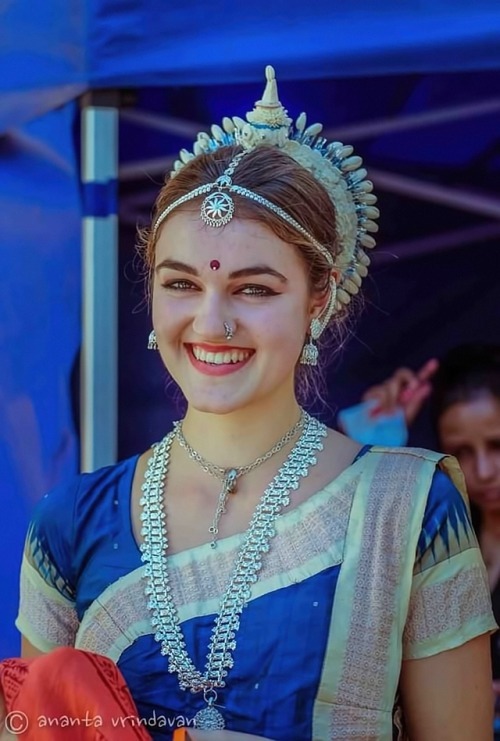 Four other sannyasis were also witness to the momentous occasionÑHH Prahladananda Swami, HH Dhirasanta Swami, HH Dayananda Swami and HH Bhakti Prem Swami. 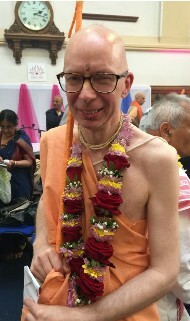 The ceremony took place at ISKCON Leicester, and the event was presided over by Sri Sri Jagannath, Baladeva and Subhadra, Sri Sri Panca Tattva and Srila Prabhupada. Senior devotees and leaders from around the country also attended the initiation. 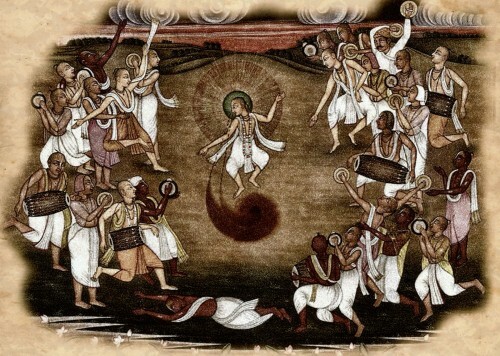 The word kirtana means “praise” or “glory” and is the name given to glorification of God in song, especially in call-and-response style. There are different categories of kirtana. 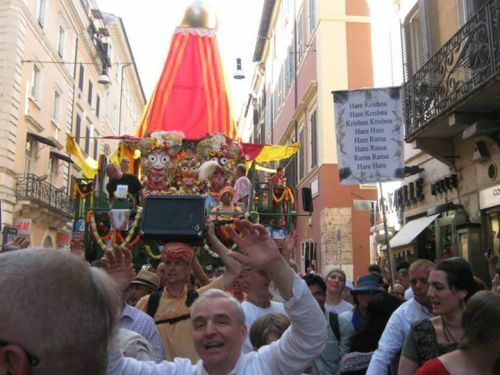 For example, nama-kirtana refers to singing God’s sacred names, lila-kirtana celebrates the transcendental activities of God and His associates, sankirtana is group singing, and nagara-sankirtana is public chanting in the streets. There are numerous variations of these. Closely related is bhajana, or prayerful song. 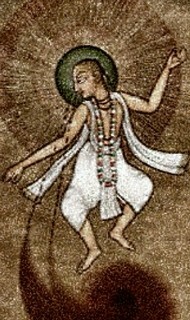 Devotees generally stand or dance while performing kirtana, and they sit to conduct bhajana. In addition, bhajana is generally more subdued than kirtana. 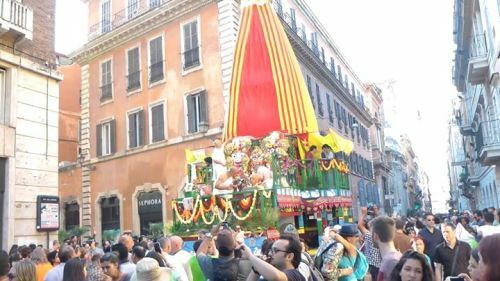 Following the success of the festival from last year, Lord Jaganatha, Baladev and Lady Subhadra have grace us again riding atop the fabulous Rath cart!